Yelp Open Sources Data Pipeline That Saved It $10M — Data Pipeline is a Python-based system that simplified how data flows from MySQL through Kafka to big data tools like Hadoop and Cassandra. A Deep Dive into TiKV — TiKV is a distributed Key-Value database based on the design of Google Spanner, F1, and HBase. Sybil: A Fast and Simple NoSQL OLAP — An append only analytics datastore with no up front table schema requirements. Designed for fast full table scans of multi-dimensional data on a single machine. 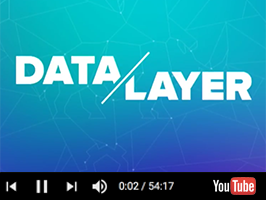 Polyglot Enterprise - DataLayer keynote with Mitch Pirtle, CapitalOne (video) — The modern enterprise has been thrust into an ever-changing roster of languages, apps and platforms that access data. Where do databases fit in this rapidly expanding picture of ‘one tool, one task’? Mitch tackles questions like these and more. Microsoft's Next Generation of Databases and Data Lakes — As well as a preview of the next SQL Server, Microsoft has announced a service pack for SQL Server 2016 which introduces a consistent programming model across all editions. Lots of other news too, including a DocumentDB emulator. Amazon QuickSight: A Fast Business Analytics Service from AWS — A cloud-powered business analytics service that makes it easy to build visualizations, perform ad-hoc analysis, and quickly get business insights from data. Realm: An Object Database for Node.js — Realm is an object database where you simply work with objects as you’re used to and they’re persisted directly. It joins existing versions for Swift, Objective-C, Java, Xamarin, and React Native. Char(16) Conference: A Business Data Scalability Event in NYC — Tickets for the CHAR(16) conference, taking place in New York on December 6, are now available. Use code DBW50 for $50 off your ticket price. Focuses on Postgres. One Application, 4,000+ Opportunities - Try Hired — On Hired companies apply to interview you. Get 1:1 support for your job search plus upfront compensation details. Improve INSERT-per-second Performance of SQLite? — A very thorough dive. Email API from SendGrid — Reliably deliver your emails with a quick and simple API or SMTP integration. Try for Free.